A collection of some of our own member technical tips as well as links to others we have accumulated over time. These links are listed in alphabetical order. Please click on a letter below to jump to that section of the list or take a leisurely scroll through the listings. Welcome to our Tech Tips section. 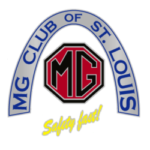 Here we have tips for maintaining your MG listed by category and by model. The general tips are those that cover any model MG. Please note: Some of these techniques offered here are rather drastic and are undertaken at your own risk. The Chicagoland MG Club cannot accept any responsibility for injury, loss, or damage incurred by any of these methods. Check it out if you’re looking for some advice – the above is just a sample! Perhaps none of our products are what you need. Maybe you want to keep your Little British Car stock, and just want to repair what you have. In that case, you might want a wiring diagram for your car that you can actually read! To help you, we have redrawn as many of the wiring diagrams as we could find. To make them more readable, not only have we re-arranged them, we have also drawn them in color, with each wire printed in its correct color code. Talk to any cam grinder, engine builder, or racer and you’ll find overwhelming agreement that “degreeing-in” a camshaft is a vital step along the route to optimum engine performance. At first that may seem strange because “degreeing-in” a cam pertains to checking the accuracy with which it was manufactured. Actually, by degreeing-in a camshaft, you’re insuring that valve opening and closing events are in accordance with specifications, regardless of the cause. Actual valve opening and closing events are influenced not only by accuracy with which a cam was ground, but also timing chain stretch, keyway position in the crankshaft, crank timing sprocket, and dowel pin hole position in the cam sprocket also play a major role. How to read a vacuum gauge with nice animated examples. I wanted to increase the “drivability” of the car by having the overdrive drop out at stop signs. The solution I arrived at is a device called “toggle flip-flop”. I tried to keep it as simple and reliable as possible, so it is implemented with four relays and a resistor (resistor value is approximately twice the relay coil resistance). I used relays from a Dodge Stratus because of their relatively small size, but almost any single-pole double throw (SPDT) relay can be used. Meguiar’s Complete Video Guide Hot Product Videos, Detailing Tips and TV Commercials. You can find a complete listing of all the Meguiar’s Car Care videos including exclusive detailing secrets, car care demonstrations, product videos and more! The #1 MG resource on the Internet! Not only do we have pages and pages of technical information on everyone’s favourite LBC, but also one of the best online communities you’ll find anywhere. An article by Tom Sotomayor. This article is not intended as a “how to” installation guide, but rather to assist in selecting the correct model overdrive transmission (or OD for short) for any given year MGB. Selecting the proper one from the start will likely be the most cost-effective choice in the long run! As a professional restorer, I’ve been asked many times how to repair / refinish the rubber bumpers of the MGB. After years of use, many bumpers have nicks and scratches as well as a weathered look due to sun bleaching. In this article, I’ll try to explain how to properly refresh their appearance. Getting my 72 MGB operational again I have had the opportunity to tackle several jobs I have never thought of before, or that I have any experience in tackling. The fuel tank sending unit was one such job and so I thought I’d share my findings on how to fix this. No big secret for many perhaps, but, if you’ve never had to deal with this, it’s not nearly as bad as I (or you) might have thought. This took about 30 mins for me including taking a few pictures at each step. The S.U. carburettor is one of the simplest carburettors ever invented! Unfortunately, following discussions with many people, the operational principles of this carburettor appear to be poorly understood. SU carburetors have a minimal number of moving parts and are easy to tune, providing of course you understand the operational principles! It is the intention of this article to help clarify those principles in the hopes that many owners will be able to tune and maintain their SU carburtetors aided by better knowledge and less blind experimentation. When a recent Midget project ran poorly after an engine rebuild due to an over rich mixture, I decided it was finally time to find out what makes the water choke mechanism so mysterious and widely despised by many owners of later model MGs. I scoured the MG archives (http://www.mgcars.org.uk), got my manuals together and ripped into it. After studying for a short time, I thought some pictures would help and grabbed my digital camera.